Who is Dr Zein Obagi? 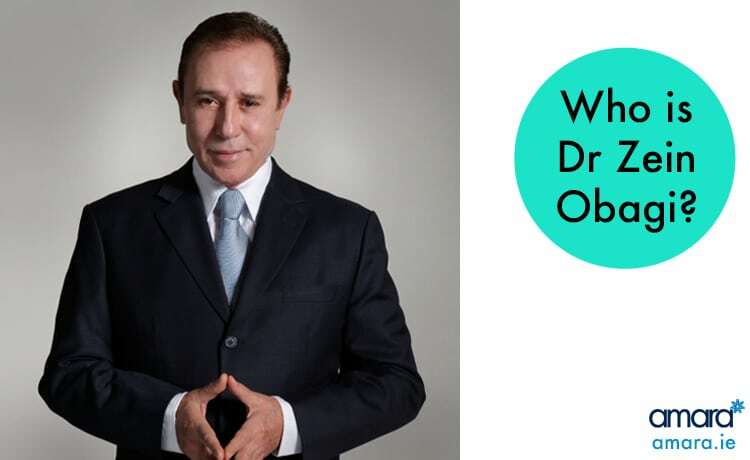 ZO Skin Health was founded in 2007 by world-renowned dermatologist Dr Zein Obagi, but who is Dr Zein Obagi and why do we put so much stock into his skin health science and products? Let’s Take a look at the man behind the brand. Originally from Aleppo, where he studied medicine before moving to the united states to study dermatology in 1972. He became passionate about Skin Health after his sister suffered third-degree burns and severe scarring. He saw the limitations in treatments and understanding imperfect skin when he began his training he also saw the lack of understanding for darker, Asian skin and mixed race skin. At the time treatments were limited and typically targeted towards white skin. Very quickly Zein Obagi became known as an expert as he tackled harder problematic skin such as scarred and damaged skin. In the 80’s he began the Obagi symposium and training where a doctor from all over the world would come to his protocols and theories. He was the first not to discriminate against skin types and instead created protocols based on skin origins. In 1999 Zein Obagi published the first version of his Skin Health Book which would go on to become a bible for all things skin. Zein Obagi was the first to think of skin health as a science and focus on getting every skin to healthy skin which he defined naturally smooth, strong, firm, even-toned, hydrated and free of disease. Every protocol is based on creating lasting healthy skin rather than just treating the current issue and moving on. He then created his own skin classification system! In 1988 Obagi founded his first skincare line ‘Obagi’ Nu-Derm, in order to give his physicians something to offer their clients and monitor their skin along with treatments. These were an aggressive, prescription strength skin care that was the first of their kind. He eventually sold this and in 2007 launched ZO Skin Health followed in 2012 by ZO Skin Medical. ZO Skin Medical range offers even stronger prescription strength products to tackle diseases such as Acne, pigmentation, early ageing, inflammation etc. He continues to innovate and research into skin issues that have not previously had any real solutions such as rosacea and cellulite. They remain some of the worlds top and respected skin care lines. The ZO Skin Circle was created by Obagi to show the optimum way to maintain healthy skin. Skincare is an essential daily maintenance routine with along with targeted treatments. This is for all genders, races and ages. Skin Peels – The ZO Stimulator Peel is a no downtime red carpet peel that is very popular as a one-off treatment for events or as a course of treatments for skin strengthening and clearing. Maintenance Programmes – These will help the benefits of your treatments as the healthier skin will respond better to treatment. Preventative Products – to protect against potential factors such as UV rays and premature ageing. Following the ZO Skin Circle will allow you to maintain and protect your skin in the best possible way. What are your biggest skin issues? Why not book in for a skin consultation or a skin peel to start your skin health journey?